That said critiquing or analyzing these shorts is tough. By modern standards they seem crudely drawn and very simple. For example, most of them are silent films without any dialogue just music. But we have to consider these shorts were basically tools to help them create the technology that we now have with great CG animation. In that sense they are not simple and are really quite groundbreaking. 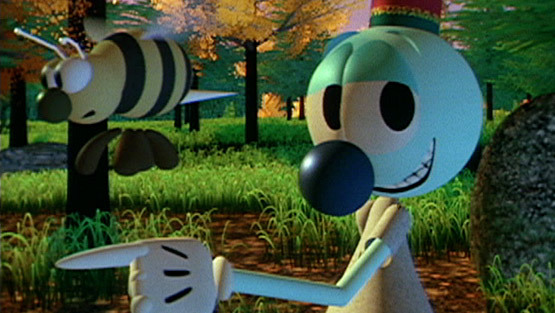 The first short Pixar ever created is called The Adventures of Andre and Wally B. 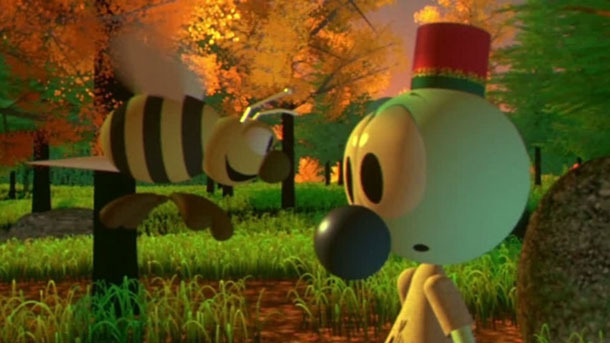 It is a 2 minute bit about an android (that’s what John Lasseter calls it) named Andre that meets a bee named Wally B. He distracts said bee and runs through the forest but is eventually outwitted and stung so hard it twists the bees stinger. Adventures of Andre and Wally B was created by John Lasseter in 1984 when Pixar was a new division of Lucasfilm for a conference called SIGGRAPH and it feels like something made for a conference, more to show off technology than tell a story. The big breakthrough in Andre and Wally B is they were able to design a motion blur technology called the motion doctor that allowed for characters to not just be geometric shapes but move in a realistic way that flows. Lasseter had been working at Disney and was brought on to animate the characters but I really think this short has more of a Looney Tunes feel than Disney with its physical comedy and silent movie feel. So I suppose we can all be grateful for Andre and Wally B because it forced Lasseter to start designing outside of boxes like a robot would have been. It would take 11 more years to perfect the technology to the level of a feature film but Andre and Wally B got the ball rolling and the creative juices flowing. What’s your favorite of these early shorts? Next up the iconic Luxo! Your uncle used to work for Pixar? Awesome! I’m not sure which of these early shorts I liked best. He did! He isnt an artist but worked in finance or admin of some kind. My Mom is checking to see if they still have the VHS he gave us of the early shorts. I want to post about it. Pretty cool to be a Pixar fan so early on. We loved Luxo and the beach ball or the Snowman in Knick Knack. Very cool! My brother-in-law’s girlfriend went to school for animation, she has since given it up but has some friends that work for Pixar now. I don’t know that I’ve ever seen this first one, so I’ll have to check it out! I have it in the post, Only 2 minutes so definitely worth a quick glance. 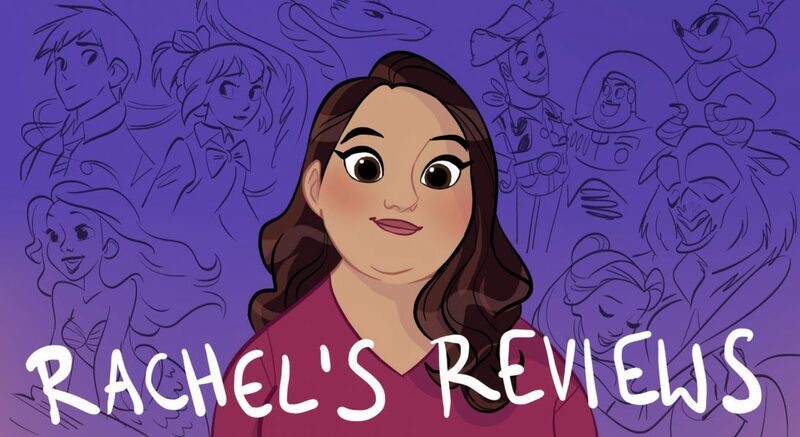 Sad that she had to give up animation. Tough field. What a great place for your uncle to work. Such a great short film. Pingback: Blindspot 2: Tron Review | Reviewing All 54 Disney Animated Films And More!